Polynesian sculptures revive in Moai, the classy table and floor lamp designed by Defne Koz. 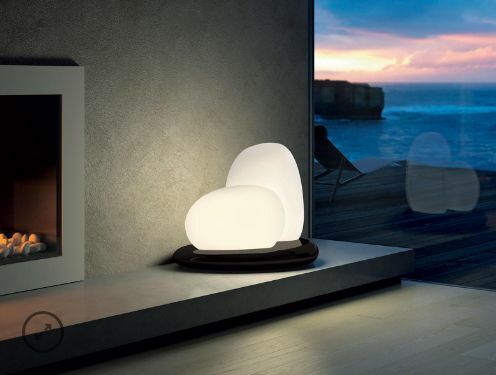 With two large diffusers made of hand-blown white glass, Moai presents a unique solution with its compact resin basis available in white, black or moka. The elegant line is inspired by natural shapes, the result of a refined design that combines aesthetic with high quality lighting performances thanks to the double dimmerable switching.